So, you finally got the thumbs up to work from home a few days a week… or maybe you made the leap, packed up your office and decided to become a freelancer. Why not? Almost half of workers in the US and UK are work from home professionals, and South Africa is catching up, because this new model of work just makes sense. You won’t have to throw a good portion of your salary into your daily commute anymore (goodbye traffic and hello all-day PJs!) and you get to choose your own hours too! But despite the benefits, working from home poses new problems to deal with. You feel like you’ve always got a million things to do between spreadsheets, documents, emails, and keeping on top of your calendar. Your internet browser has more open tabs than a bar on St Patrick’s Day and you’re always hopping back and forth between them all. Then a conference call comes in and you need to drop everything for a minute, only to realise when the call ends that you’ve accidentally closed everything! 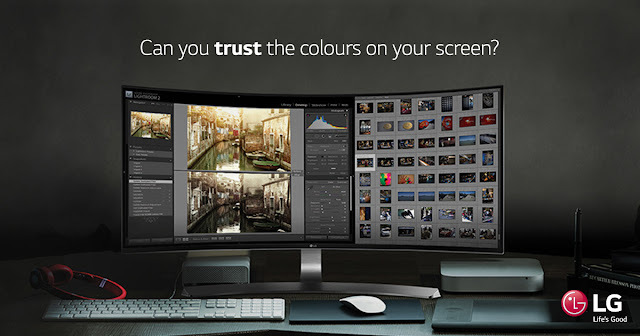 It may seem like you’ve got a lot of problems right now, but really you only have one… your monitor. If you need to be able to do multiple tasks at once, your monitor should be able to keep up with you. The new LG UltraWide monitors were made exactly with this in mind. Besides giving you more room to work with, the 4-Screen Split feature divides the screen into as many as four customisable segments. That means you can now work on a project in one segment, with your internet research open in another, respond to emails without disrupting the rest of your workflow, and even stay connected to your fast-moving Twitter feed. It’s really up to you. Whether you’re an engineer, designer, blogger, writer or something else entirely, you’ll be able to use this feature to streamline your workflow, so you can spend less time yo-yoing between different workloads.